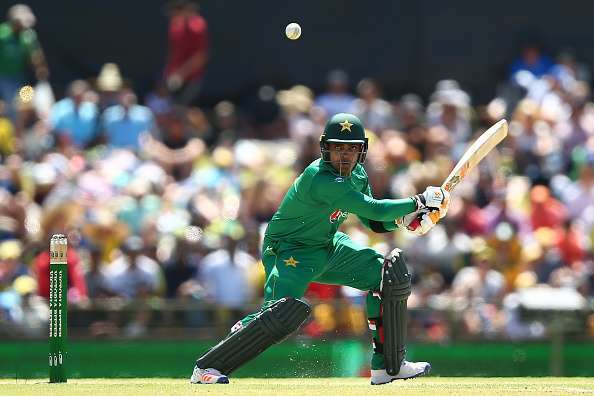 Pakistan cricketer Umar Akmal has been removed from his side’s Champions Trophy squad after he failed two fitness tests in the team’s ongoing camp in England, thereby adding yet another chapter to his already troubled history. "He has failed two fitness tests during the ongoing camp there in England ahead of Champions Trophy. So since we have a policy not to carry unfit players, it has been decided to call him back and send a replacement. We have a deadline until May 25 so we are deliberating on the possible replacements,” PCB chief Shaharyar Khan told ESPN Cricinfo on Sunday. In an annual assessment that took place earlier this year, the 26-year-old weighed 91kgs and had a fat level reading of 115.6. (any number over 100 is considered to be high). The batsman was not picked in Pakistan’s limited-overs squad for the tour to West Indies and was only selected for the Champions Trophy after he proved his fitness while playing in the Pakistan Cup. His name was not included in the initial squad for the eight-team event after he was the only player among the 31 selected, who failed his fitness test at a camp in March. Chief selector Inzamam-Ul-Haq said that they had set fitness test levels for the players and added that regardless of the stature of that player, they could not pick him if he didn’t meet those levels. He also added that while they needed a player like Akmal in the team for the competition, they had to take such a call because he failed to meet the required fitness levels. The selectors have time until Thursday to fly in a replacement for Akmal. According to reports on ESPN Cricinfo, the selection panel was thinking of either Harris Sohail of Umar Amin as the players to replace Akmal. After yet another incident to forget, against his name, one really has to wonder where Akmal’s career is heading. Touted as this next big talent emerging out of Pakistan when he made his debut in 2009, the right-hander has just not been able to meet those expectations in the past 8 years and one can only hope he learns quickly and gets back stronger soon.